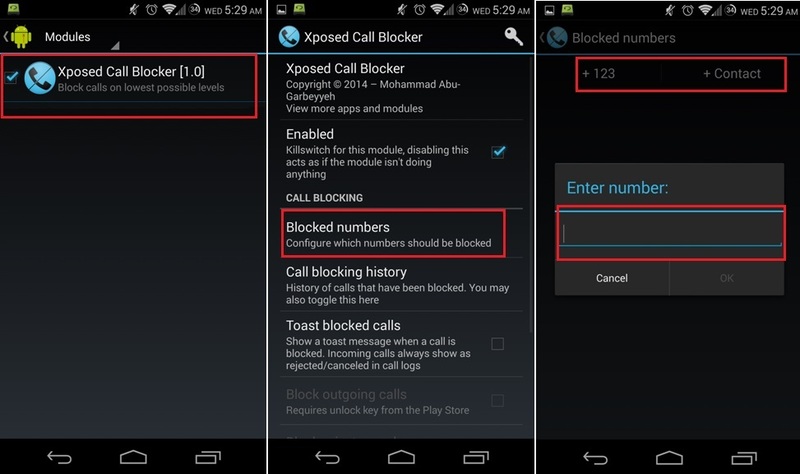 Today in this guide we’ll show you how to block incoming and outgoing call on any android device with any carrier. With this way you can block lots of contacts number on your device and block all the unwanted call on your smartphone. This guide is only for the rooted users, if you don’t have the rooted phone then check out some of the helpful tutorial on this site HowToRootMobile.com. Once the device is rooted you have to install the Xposed Installer on your device and the Call Blocker Xposed Module to get started. Don’t worry we will show you how to install all these application on the android. As we mention above to get started you need a rooted device. Once the device is rooted, Install the Xposed Installer on your phone. (Read here Guide to Setup and Install Xposed Framework on Android) The process is simple and all you have to download the apk file on your mobile and install it. After this follow the below mention guide to block the unwanted call on your mobile. 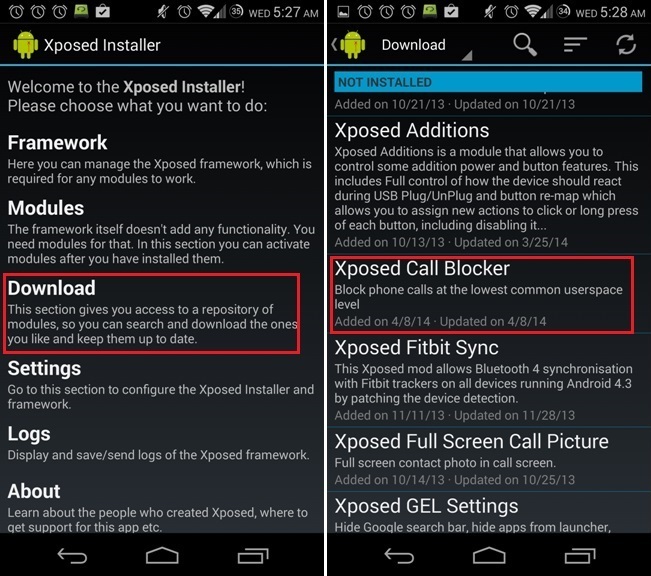 Now open the Xposed Installer on your mobile and from the download page of the application install the Xposed Call Blocker module. Once the application is installed reboot the phone to change the settings on your device. Once the phone is rebooted, open the Xposed installer application and go the module page of the app and enable the Xposed Call blocker. After that Tap on the “Xposed Call blocker” to get started. Now on the page you will see lots of settings, from here tap on the “Blocked Numbers” option and enter the phone numbers which you want to block on your phone. Here you can add any number or select the contacts from your phone-book. The the number is blocked on your phone. The app has some more feature which require an unlock key from the Play Store. After that you can enjoy some more features like Block calls from private numbers, Block outgoing calls etc.